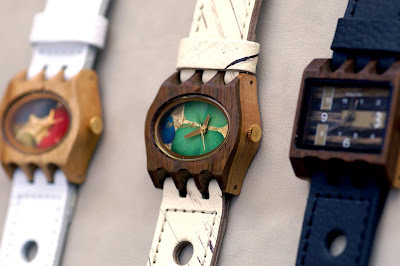 Modern Wristwatches with Striking Colors, Lines & Designs. Timeless Appreciation for Quality Natural Goods & Technique. Do you value the materials used in a piece of art as much as the finished product? Some artists are unique for how they turn old and forgotten objects into beautiful, display-worthy work. 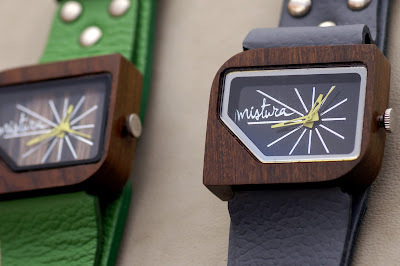 For others, like the artists behind Mistura Watches, the materials they favor are all beautiful on their own and then even more wonderful when brought together as elements of their work. They place a premium on seeking out the highest quality wood, leather, watch works and more to make sure their timepieces last. They're also considerate of the sustainability of these raw materials, making sure the natural habitat they come from lasts as well. Their woods of choice include Pui, Teak and Bamboo, among others. Beyond the fine materials, these artists employ thoughtful design to balance natural and modern flair; their mantra is "as nature intended." 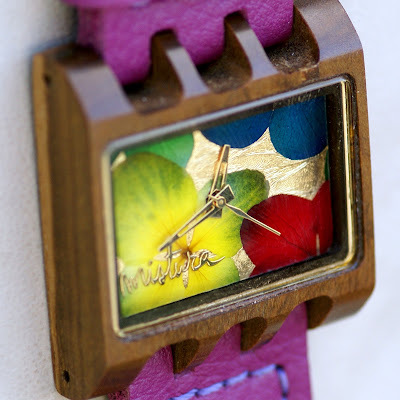 The fabulous colors and patterns of the wood grains are preserved in each wooden face frame. You can also see careful craftsmanship that celebrates the fact that functional accessories can be art in how the faces are decorated. One of their signature collections uses pressed flowers with gold leaf. The vibrant colors of the petals and the metallic shimmer make a powerful impression. If you prefer a simpler watch face, you have plenty of understated designs with a wide range of colorful leather band choices to show off your personality. 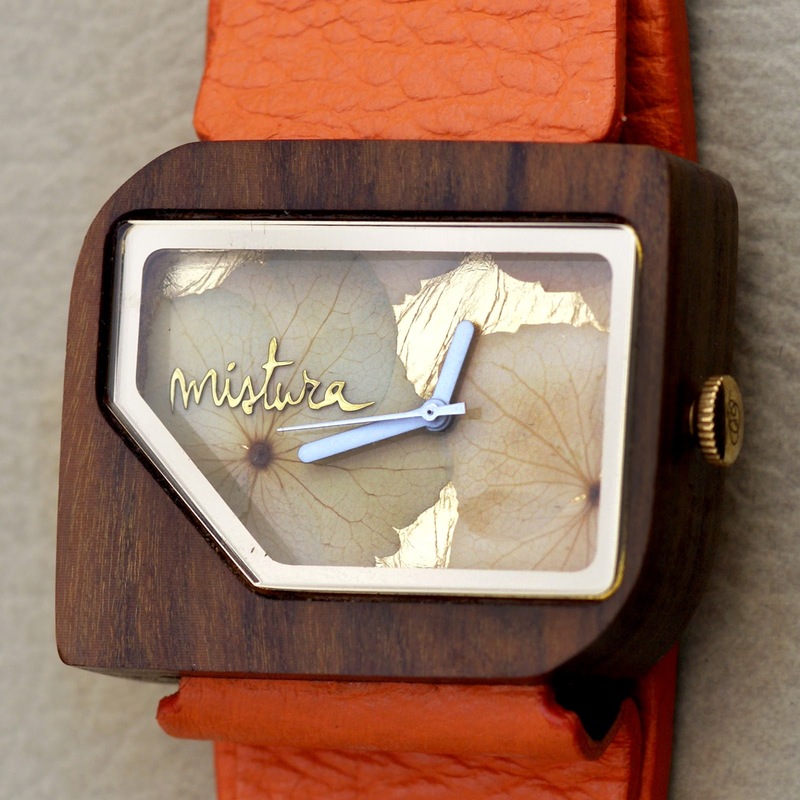 Mistura watches are modern, but also timeless, from the quality raw materials to the unique design and one-of-a-kind execution of each piece!